* Īpašais līzinga piedāvājums. Ikmēneša maksājumam ir informatīva nozīme, tas var atšķirties atkarībā no līzinga kompānijas procentu likmes izmaiņām pie pieprasījuma izskatīšanas. The vision is brighter than ever. A desktop experience that draws you in and keeps you there. This is the idea behind today’s iMac. And now that idea is more powerful than ever. The new iMac is packed with all-new processors, the latest graphics technologies, innovative storage, and higher-bandwidth connectivity. And it all comes to life on the brightest and most colorful Retina display iMac has ever seen. So you get an even more immersive experience — and a scintillating new way to take it all in. Performance boosts across the board. Faster and more powerful than ever, iMac is now equipped with seventh-generation Intel Core i5 and i7 processors and the latest high-performance graphics. Storage kicks into high gear as well, with the speedy and spacious Fusion Drive now available in standard configurations of both the 27-inch and 21.5-inch Retina models. So you can do everything you love to do on iMac. All at maximum velocity. iMac features powerful new Radeon Pro 500 series graphics that make a spectacle of everything you see. 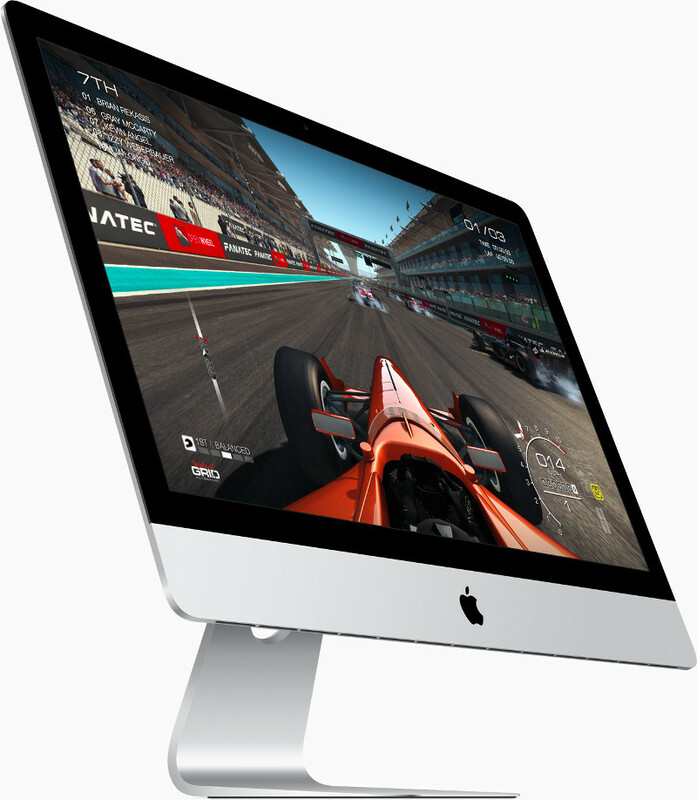 The 27-inch iMac with Retina 5K display is loaded with up to 8GB of dedicated VRAM. 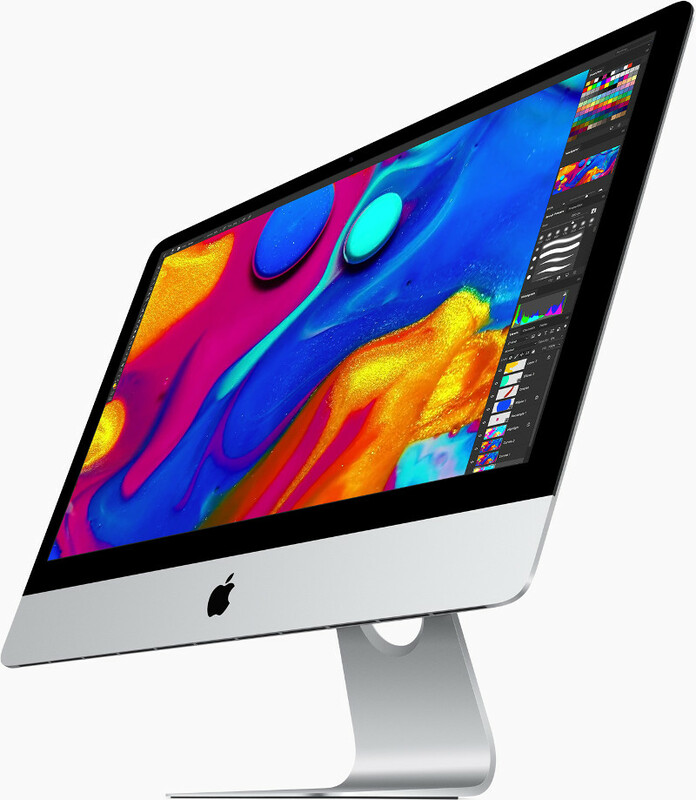 And the 21.5-inch iMac with Retina 4K display ignites with up to 4GB. Both deliver visual effects and 3D graphics that exhibit raw power in its most polished form. On top of that, you get advanced video editing capabilities. Now you can edit multicam projects in Final Cut Pro X with up to five streams of full-resolution 4K video. An all-new seventh-generation Intel Core processor in every iMac. It’s more speed than iMac has ever reached before — taking the 27-inch model up to 4.2GHz, and the 21.5-inch model up to 3.6GHz. And Turbo Boost gives you even more power when you’re using processor-intensive applications like Logic Pro or Final Cut Pro. It all takes place behind the scenes, but you’ll see the difference in so many ways. Storage that’s lightning fast. And whip smart. Storage is about space. But it’s also about speed. A Fusion Drive gives you the best of both worlds. The apps and files you use the most are automatically stored on fast flash storage, while everything else moves to a high-capacity hard drive. 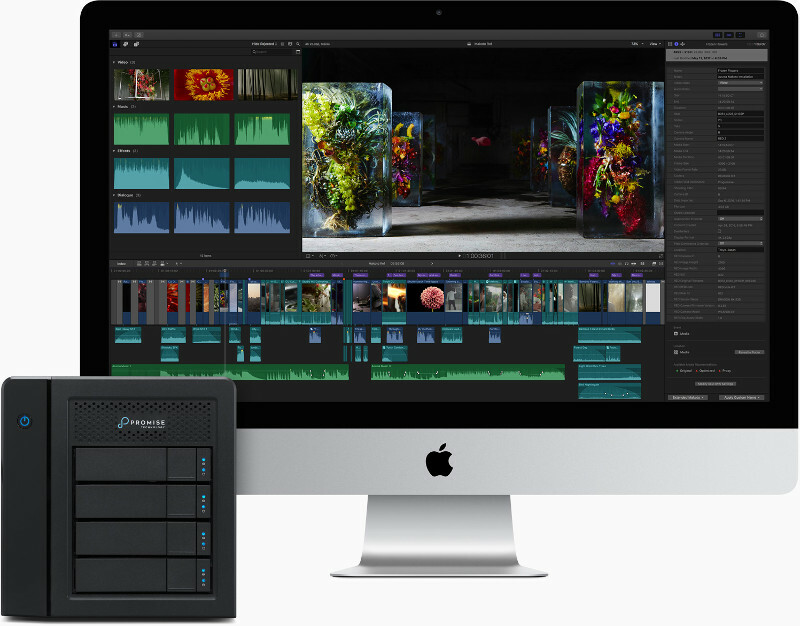 From booting up to launching apps to importing photos, it’s faster and more efficient to do it all with Fusion Drive. And it’s now standard on all 27-inch models, and on the 21.5-inch model available at just $1499. Retina at its most brilliant. Make some powerful new connections. A lot can happen in 5 millimeters. The new Magic Keyboard with Numeric Keypad makes typing, editing spreadsheets, or navigating pro apps a breeze. Paired with Magic Mouse 2 or Magic Trackpad 2, it works like magic with iMac. Whether you’re working or gaming, the new Magic Keyboard with Numeric Keypad makes everything as easy as 1-2-3. Designed with a sleek, low profile and engineered for stability so you can type with comfort and precision. A streamlined design gives the Multi-Touch mouse a solid build and a smooth glide for quality you can feel. Designed with Force Touch technology, it lets you press a little deeper on a large, click-anywhere surface — and do a lot more. macOS is the operating system that powers everything you do on a Mac. macOS Sierra introduces Siri to Mac — along with more ways to enjoy your photos, shop securely online, and work seamlessly between devices.